Roberto S. Juarez, Chief Executive Officer of Clinicas del Camino Real, Inc. (Clinicas), marked 40 years of service to the organization on September 11, 2018. 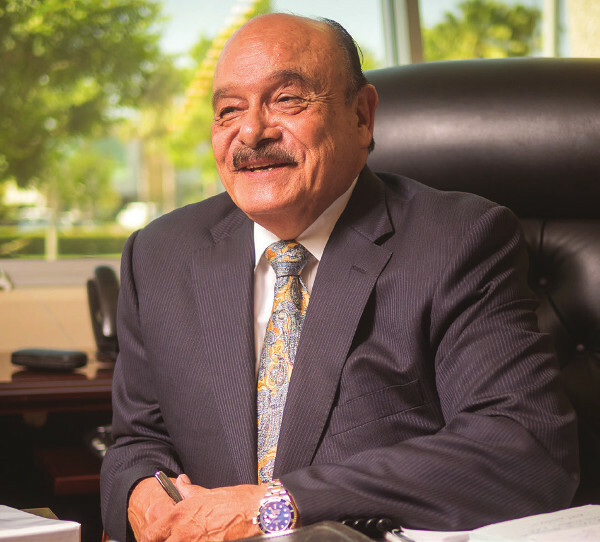 The Clinicas Board of Directors will honor Mr. Juarez at an invitation-only gala this Saturday, October 6th, 2018. Following Army service, Mr. Juarez built his career in community health services, particularly to the farm worker population in Ventura County. From 1970-1978, Mr. Juarez worked with the Ventura County Health Care Agency in Public Health, Environmental Health, and Hospital Administration roles. During this time, he also founded five free clinics with a group of volunteers to serve populations typically turned away for services at other provider locations. These free clinics have grown to be the organization he heads today – Clinicas del Camino Real, Inc.
Clinicas now operates 14 full service health centers, is Joint Commission and NCQA Patient Centered Medical Home accredited, and has plans to open an additional 3 sites in the coming years. In 2017, Clinicas provided approximately 330,000 encounters to over 73,000 patients across primary and specialty medical, dental, behavioral health, optical, pharmacy, and health education services. Mr. Juarez’s tireless commitment to Clinicas, its patients, and the underserved community has created one of the most thriving Federally Qualified Health Centers in the nation. In his quest for the equitable provision of services to all, Mr. Juarez has also founded and presided over a number of organizations and advisory groups. He is a founder and past president of El Concilio del Condado de Ventura, El Jardin de Ninos, CA Health Federation, and the CA Rural Health Association. Mr. Juarez has also served on the Board of Colonia Boxing Club, CA Hispanic Health Care Association, CA Primary Care Association, and National Association of Community Health Centers. Mr. Juarez has been honored by four California governors and the Clinton Administration, during which time he chaired the National Advisory Council on Migrant Health for the Secretary of Health and the Rural Health Advisory and Seasonal Agricultural Workers Advisory Committees for the State of California. The Clinicas Board Chair, Mr. Chuck Hookstra, and remaining members are privileged to work with Mr. Juarez and honor his dedication to social equity, the provision of quality health care services to all, and the growth of Clinicas.